The British historian Martin Jacques, 72, who wrote the masterly 2009 monograph When China Rules The World, once told this writer that rising China will be judged by how it treats its neighbours. Tomorrow's Big Read Meet will focus on British journalist Adrian Anthony (or A.A.) Gill's last book, Lines In The Sand - one of this year's best reads. Gill, who died at age 62 of cancer on Dec 10 last year, gave the world some of its best writing, especially on food, travel and how terrific and terrible life could be. Join senior writer Cheong Suk-Wai from 6.30pm to relive his magic in the Multi-Purpose Room, Central Public Library, Basement 1, National Library Board (NLB) headquarters at 100 Victoria Street. Sign up at any NLB e-Kiosk or try your luck at the door. 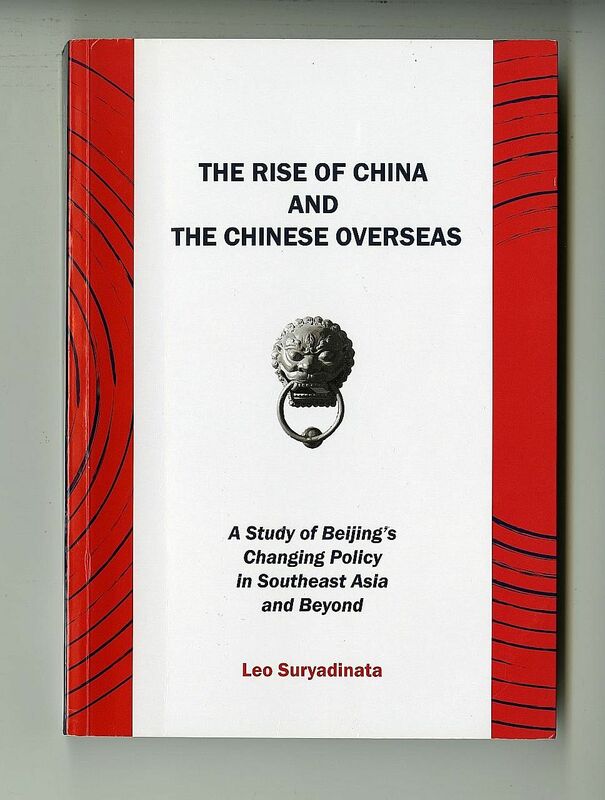 Well, going by Singaporean scholar Leo Suryadinata's new book, The Rise Of China And The Chinese Overseas, the jury is still out on that score, albeit leaning towards a glum verdict. That is because, as he argues convincingly, China steps in to help the Chinese communities in its backyard only when it is in its interest to do so. Dr Leo Suryadinata has been tracking Beijing's shifts in policy towards non-mainland Chinese since the 1970s, so he has the long view on the subject. Better yet, he is adept in Chinese, Bahasa Indonesia and English, the three languages which enable him to note and decode the nuances and niceties of political shadow play between China and its neighbours. His book is required reading if one wants to grasp these fraught ties firmly. The biggest thorn in the side of China's relationship with the rest of Asia is China's claim to the South China Sea. Given how the wound has recently widened as such to make it Asia's biggest talking point after North Korea, it is surprising that the author barely discusses it. If their plights run counter to what Dr Suryadinata calls China's "core national interests", which include national security, territorial sovereignty and survival of the Communist Party of China, it resolutely stays out of sight. There are many stark examples of such poor form in his book, including the Khmer Rouge's 1975 slaughter of Chinese Cambodians; Vietnam's 1976 oppression of Chinese shopkeepers, which led many to flee the country as boat people; and Indonesia's anti- Chinese riots and mass rapes of Indonesian Chinese women in 1998. The irony is that since 2000, China has begun wooing talented Chinese beyond its shores to boost its bid to be the world's next superpower, seemingly blithe about its many diplomatic and humanitarian missteps. Dr Suryadinata's book goes into how Beijing's relationship with South-east Asia has evolved over the past two centuries. 1 What do the mainland Chinese really think of the Chinese beyond its shores? 2 Why do many countries still harbour a deep suspicion of ethnic Chinese? 3 What do the 2008 Beijing Olympics and the 2008 Sichuan earthquake have in common? 4 When will China help those of Chinese descent and when will it not do so? 5 Why should one approach China's One Belt, One Road initiative cautiously? The 76-year-old Jakarta-born Singaporean is the authority on Indonesian Chinese. Now a visiting senior fellow at think-tank Institute of Southeast Asian Studies-Yusof Ishak Institute, he headed Nanyang Technological University (NTU)'s Chinese Heritage Centre from 2006 to 2013. He also lectures on government in South-east Asia at the S. Rajaratnam School of International Studies at NTU. He divides into quarters his scrutiny of how China is calling on all those with Chinese blood to help it rise. In the first segment, he charts how and why Beijing has blown hot and cold towards non-mainlanders of Chinese descent. In doing so, he wears his learning lightly, giving the reader just enough facts and interpretation for him to weigh the pros and cons of Beijing's actions. Part II is a trudge through the morass that is South-east Asia, as well as the Solomon Islands, Tonga, the Middle East and Africa. He uses these territories' interactions with their Chinese communities as case studies of how much the latter are at the mercy of China's national interests. Anyone keen on doing business with China should dive straight into Part III, in which the author drills down on its One Belt, One Road initiative to generate scores of infrastructural projects and waves of maritime trade from western China to the southern-most tip of Asia. In the fourth and final segment, he tears apart China's moves to gain global influence and gets to the heart of why the Chinese overseas have much to worry about because China is still too inward-looking to bother much about understanding other countries deeply. All this is a lot of fibre for the reader to chew; fortunately, the author's plain, clean and clear writing aids digestion. A few of his assertions will, however, stick in the craw for being specious. For example, he says: "China and India, the world's most populous countries, have huge overseas populations. Nevertheless, it has been the Chinese overseas who have long been a focus of attention owing to the important role they have played, their links to China, and China's policies towards them." That is a view worthy of China's emperors of old, who considered their Middle Kingdom the centre of the world. While Dr Suryadinata has a knack for spotting telling details on the fringes of history, he is not a natural storyteller and you will find him reiterating themes and points throughout. Perhaps it is his way of making whatever he says stick. But persevere and you will get a good glimpse of what life will likely be like when China rules the world.